So, you’ve probably already refreshed your child’s room once or twice – perhaps from baby to toddler, and toddler to child – but the time will come when your child once again outgrows the room you once thought was cute. The tween-to-teen bedroom transition can seem a big one, but it need not be daunting – it happens in every child’s life, when they want their room to reflect their more ‘grown-up’ image and their current interests. The tween-to-teen bedroom transition doesn’t have to be super challenging or expensive; you need to strike the right balance between functionality and personality. Here are five tips to help you with the upgrade. They may find involvement in the project fun and want to have a say in wall colour, layout, furnishings and accessories. This is great, but ideas can quickly spiral out of control. It may be a good idea to create a mood-board together. Either physical or on Pinterest, it is a good way to gather ideas and understand their vision; it will also help to make compromises down the line. Alternatively, they may have little interest in the project and only have a couple of suggestions of what they’d like from their new room. If you find yourself in this situation, it’s good to ask them what their priorities are. New wall colour, bigger bed, to get rid of an old toy box? Once you understand what’s most important, you can begin to compromise. Over time, clutter builds up. Toys, books and clothes that were once special and a perfect fit will no longer be useful, and are most likely gathering dust on a shelf or in a cupboard. Before you begin the upgrade, you need to deal with this. To throw – items that aren’t suitable should automatically fall in this category. As your child grows, their bed needs to as well! 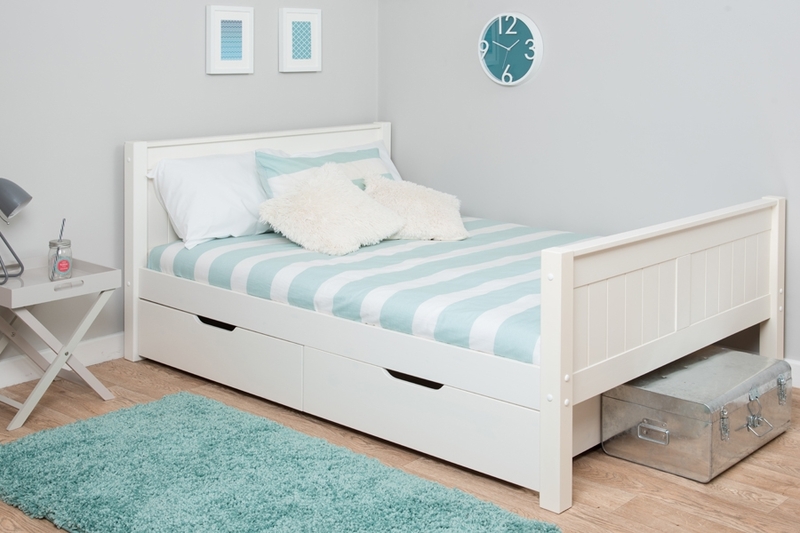 It’s a good idea to upgrade your teen’s bed from a single to a double bed – check out the selection of double beds from Room To Grow. If space is limited or you’re worried about cutting into storage space, you can look for a bed with drawers underneath or even a high-sleeper with the possibility of having a desk or wardrobe space underneath! In addition to the bed, it is wise to invest in a good quality mattress to ensure that your child is regularly getting high-quality sleep, which is very important in the teen years. A fresh lick of paint is a really good way to freshen up a room. 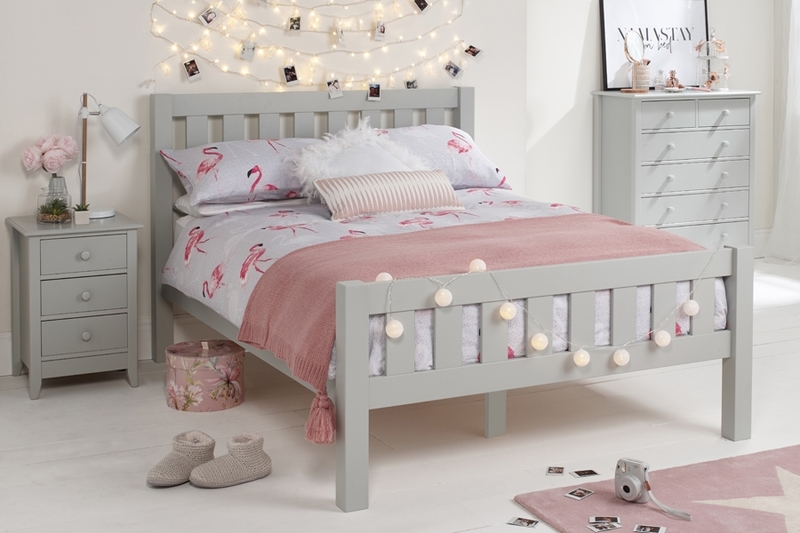 In the teen years it is important that the bedroom space isn’t too overstimulating – sticking to a neutral base colour is advisable and works well. It might be useful to know that calming colours like blue and green can help with concentration. Neutral tones are versatile, and it’s easy to add pops of colour with accessories to your teen’s bedroom space, to make it unique to them. Unlike younger children, a teenager’s bedroom space tends to be multi-purpose. It’s no longer just a place to sleep; they are more likely to use it as their haven – a place to chill out with friends, to study, and to relax. A good way to assist this is to consider multi-functional furniture, such as high beds from Room to Grow, that come complete with a desk underneath and are able to house a beanbag, futon or bookcase, perhaps – this allows for the best use of space and makes their room adaptable to whatever your child needs.